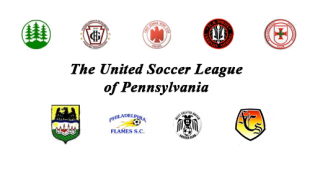 Pennsylvania State Cup play starts this weekend, October 23, so many of the United League teams will be playing these matches instead of their previously scheduled league matches. On Sunday, Oct 30, the Women’s Cup Final will be played, as well as the Men’s Amateur Cup first round games. Here is a review of last week’s results, and the league and cup schedules for this weekend. West Chester O-30 / Jr Lone Star – Field T.B.A. Author: United Soccer League Founded in 1959, the United Soccer League is one of the premier amateur leagues in the United States. Affiliated with US Soccer through the Eastern Pennsylvania Soccer Assn, teams from the USL regularly win the Amateur, Open and Womens Cup titles in Pennsylvania. The USL schedule was from 10/23.. wrong games for 10/30.